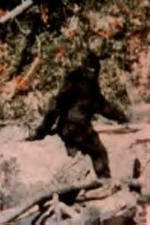 The Bigfoot mystery is considered to be one of the greatest unsolved mysteries when it comes to cryptozoology. Many individuals have questioned the existence of this mystery creature throughout history. For the past century, confirmation of the existence of this creature has eluded both the professional and amateur hunter as well. Despite the fact that evidence is hard to come by, individuals still work diligently to discover the truth. Here, you will learn about the dominate features of the mysterious Bigfoot. Based on the eyewitness accounts of this popular creature, the descriptions associated with the animal are similar with only minuscule changes. The animal is said to be relatively tall. It is estimated that the creature stands between six feet and ten feet in height. The animal is said to be covered in fur. In some instances, this fur is described as being "brown", in other cases, it is said to be "black". There have been a few instances in which the animal has been said to possess fur that is actually "red" in color. Out of all cases that have been reported, it is quite common to hear the witness state that there was a foul odor emitted in the air. The head of Bigfoot is said to be a round shape that reflects that of conical based circumference. The ridge of the bow is said to be extremely pronounced and distinct. If you were to compare this mystery creature to a known creature, you would likely find that it resembles that of a gorilla. In all cases, the creature has not only been described as being tall, but is also considered to be extremely heavy as well. This creature is said to measure in at approximately five hundred pounds. When evaluating the footprints of the assumed Bigfoot, you will see that they are quite large. Many only show two or three toe indentations, but others show five toe indentations. This leads researchers to conclude that there could be more than one species of the mystery creature.